Our shipment of Fair trade organic hoodies for students arrived a few weeks ago. Hurray! All made especially for us in India. It has been exciting, impatiently waiting for them to arrive. Now the warehouse is filled to the brim with boxes full of them. We have royal blue, red, navy and black. We thought students would be interested in them as these young people seem to be particularly socially aware, committed to Fair Trade, and want to take action. We thought the interest would come from students at college or university. But after only a few weeks of the hoodies being delivered we have had lots of interest from schools. They pupils want to wear Fair trade garments for school trips and special events. We embroider or print logos or designs created by pupils onto them. I have enjoyed talking directly with six formers who have been a pleasure to collaborate with. It is these young people who are taking responsibility for placing and looking after orders for their groups and teams. In a nutshell early days yet but it looks like we have a Fair Trade garment that is going to be popular – which means that we can we can order more, help create fairer working conditions in the garment industry in India. I read this article today. It is a little old now as it was written in November 2010 by Elizabeth Day for The Observer. However is is still very much up to date. It explains the subsides given by USA, EU and the China to their cotton farmers – and then the impact this has on the price cotton farmers get in the very poor nations. The subsidies really do manipulate the price of cotton and has such a negative impact on the farmers in such places as Mali, West Africa and Gujarat Northern India where we purchase Fairtrade certified cotton for our company Cotton Roots. Liz outlines the way in which Fairtrade has a positive impact. The “Premium” from the Fairtrade way of doing business resulting in access to health care, clean water and education. There is also an interesting video which supports the article – watch it here. The premium has partly financed water tanks for the groups livestock, as well as a communal stage for meetings and entertainment. 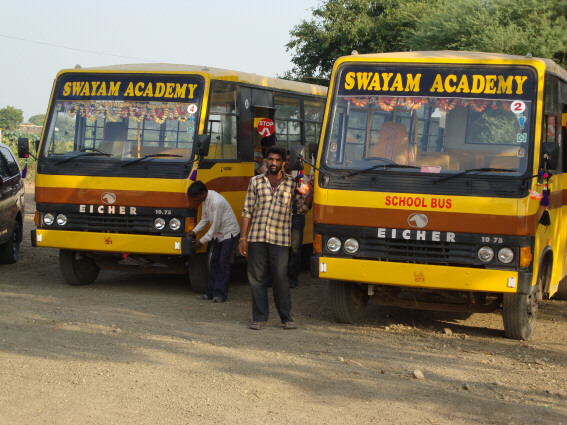 They have also spent their premium on helping to finance and construct an English medium school called Swayam Academy through the Mahima Education and Welfare Society trust. The children of the tribal farmers (approx. 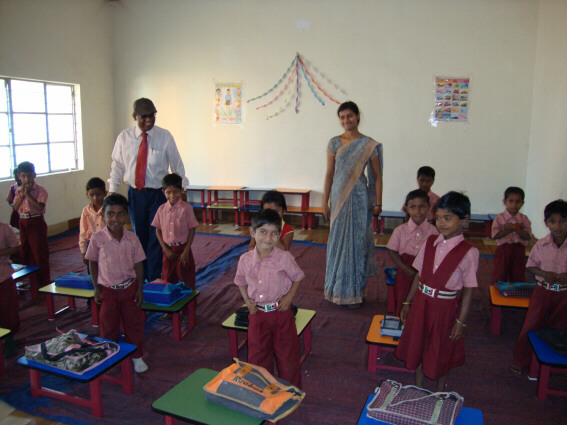 110) receive free education, transport, stationary and books at this school. 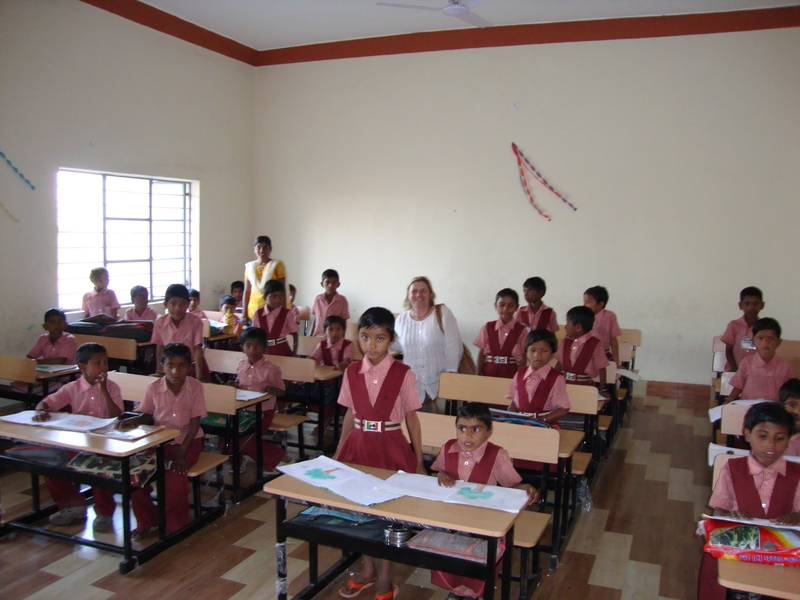 I have visited this school and some of the cotton farmers. Once again I am reminded that when I read articles like the one Liz has written and think back to my visit then the inspiration it continues to give me results in our range of Fairtrade t shirts, aprons, school uniform and and Fairtrade polo shirts. The real idea is to share. Although the recession is having an impact on us here in the UK. Our wealth is beyond the experince of the cotton farmers I met in India. If we at Cotton Roots together with our customers share just a little, the effects are magnified in such a important way to those growing the cotton and make a real difference in their lives. We started the process some time ago. The school in Bridgend have a very active eco committee run by pupils. They decided that they wanted to include ethical school uniform in their approach to sustainability and fairness. The school is being rebuilt and they decided upon a new colour and a new style for their summer uniform and “re-launch” of the school. We are at the stage where they have been pleased with the final samples are we are ready to go into production. Purple with grey trim on the collar and cuffs, also the option of grey polo shirts with purple trim. Even if we do say so ourselves they really do look smart. They will soon go into production ready for spring and summer next year. The best news? They are made with Fairtrade certified cotton from our cotton roots range. This is the first secondary school customer we have who have chosen the Fairtrade cotton option. We have lots of primary schools who have fairtrade uniform. So I am really pleased that the whole order is exciting………Fairtrade, bespoke, made especially for them, and that they are from my homeland South Wales. If you know of a school considering Fairtrade or Fair Trade school uniform please put them in touch with us. They can ask for me, Susan, and we will work with them from design concept, sampling, right through to the final product.